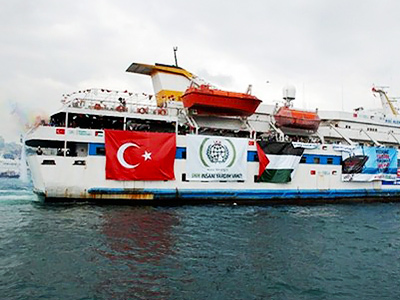 Turkey has expelled the Israeli ambassador over an ongoing dispute about the deadly flotilla assault that left nine Turks dead in 2010. This comes after the release of a UN report on the incident that failed to achieve consensus between countries. The Israeli ambassador to Turkey, Gabby Levy, together with his deputy, Ella Afek, have been expelled from the country reducing Israeli diplomatic representation in Turkey to second secretary level. Reuters is reporting that Turkey is also threatening to suspend trade deals with Israel, including military agreements which worth billions of dollars. Ankara is planning to appeal to the International Criminal Court over the Gaza blockade, Turkish Foreign Minister Ahmet Davutoglu said during a press conference on Friday. Davutoglu has said that Turkey does not recognize Israel’s right to mount the blockade. Turkey has repeatedly warned that, if Israel does not apologize, then diplomatic relations between two countries could be downgraded. On Thursday Davutoglu said that they are ready to implement “Plan B” in the event that Israel does not apologize for its raid and killings. Initially, Turkey had given Israel until the publication of the UN report to offer an apology. “Turkey could feel vindicated in the sense that Israel did, according to the report, use excessive force, while on the other hand Israel feels reassured and reinvigorated because the report decreed that Israel’s actions were both legal from the international legal point of view and also justified on security and political grounds,” he explained. Pinkas believes that Israel could have and should have expressed regret in the weeks or even months following the event. However, Israel decided against such a move. While Israel acknowledges the need for workable relations with its neighbors, rifts within its government are thought to be hampering moves towards reconciliation with Turkey, which is a significant regional power. That is the view of Dr. Nimrod Goren, founder of the Israeli institute for Regional Foreign Policies. “Unfortunately, the government composition in Israel is very right-wing at the moment and those ‘hawkish players’ that dominate Israel’s foreign policy have a very big influence on Netanyahu,” notes Goren. He believes such opposition is blocking attempts to reconcile with Turkey. 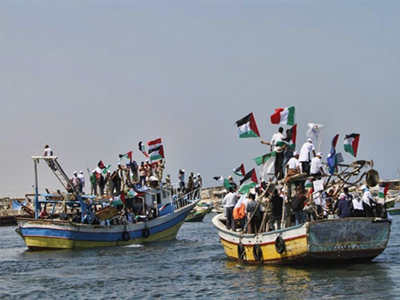 A UN investigation has declared that Israel used excessive force during its raid on a Gaza-bound aid flotilla. However the long-awaited report found that Israel's blockade of Gaza is legal. 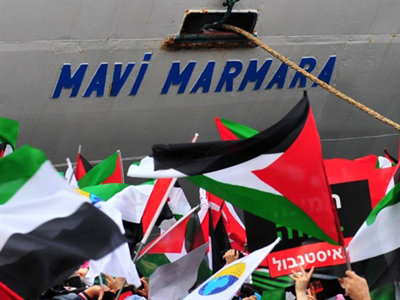 The most significant finding of the UN report covers the way the Israeli commando units handled the raid on the Mavi Marmara, the largest vessel to take part in the first Freedom Flotilla. Nine activists were shot dead by commandos who boarded the Turkish ship in 2010. Because of discrepancies between Israeli and Turkish versions of the incident, UN Secretary General Ban Ki-moon set up a special four-man investigation panel headed by former New Zealand Prime Minister Geoffrey Palmer. Both countries had representatives on the panel were unable to reach an agreement, so the report is not a "consensus document" a UN official said, as cited by Reuters. According to the report, the Israelis “have behaved in excessive and unreasonable manner.” The report also stated that such loss of life was “unacceptable” and urged Israel to apologize to Turkey for the deaths of nine of its nationals and to pay compensation to their families. The report says forensic evidence points to the fact that those killed were shot repeatedly in the back at close range and it criticizes documents submitted by Israel for not adequately accounting for the actions. Israeli operatives “significantly mistreated” the crew and passengers after the raid, according to report. They were physically mishandled and subjected to intimidation and harassment, and their belongings were unjustifiably confiscated. On the other hand, the report states that Israel’s controversial blockade of Gaza is not illegal and does comply with international law. 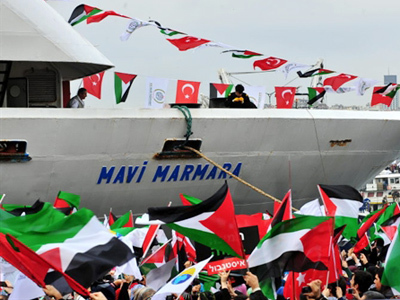 The UN report emphasizes that the Israeli soldiers who boarded the Mavi Marmara faced significant organized and violent resistance which required them to respond in like manner in order to protect themselves. The report was originally expected to be published by February 2011, was repeatedly postponed, with the final release date set this Friday. However, a copy of the report was leaked to the New York Times which published it a day before the deadline. The timing of the report is significant, as on 20th September the Palestinian leadership will be appealing to the UN General Assembly to accept its unilateral declaration of a Palestinian state. The Israelis have been criticized for inflaming the situation to the point where violence will become inevitable. There have been reports of the Israeli government arming roughly half a million Israeli settlers who live on land that will potentially become part of the Palestinian state. The Palestinian leadership has been accusing Tel-Aviv of trying to present them in a bad light ahead of this vote, with Israel trying to muster as much international support as it can to block the recognition of a Palestinian state.